Despite having been a Christian for a decade, I am sad to admit that I have never seriously pondered the meaning and significance of the two Sacraments of Protestant faith, one of which comprises a huge part of the liturgy that I observe every Sunday. Finally, by the mechanism of writing this blog, I turn to these two Sacraments – Baptism and Communion – to explore what they mean, and should have meant, all along. I had to start from the very beginning. What are Sacraments? I ask my pastor in DC. He expresses it pithily – they are outward signs of inward grace. Why do we need two of them? Well, they serve different purposes. 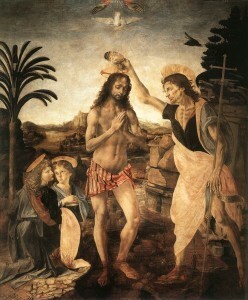 Baptism serves the role of initiation, when we first declare the faith that we feel in us. Communion serves the role of continuation, where we repeatedly remind ourselves of the work that Christ has done and is doing in our spiritual walk. That seems to perfectly sum it up. But as I walk away pondering, I have a host of questions to follow. To start with–how did we come to celebrate these Sacraments? I begin to dig into the Bible. Re-reading the stories of the Gospels and the Acts of the early Church, I come across some answers and reasons. First, Jesus instituted that his disciples should practice these Sacraments. Jesus said to his disciples: “Go therefore and make disciples of all the nations, baptizing them in the name of the Father and the Son and the Holy Spirit.” (Mt 28:19). And he instituted Communion when he shared his last supper with them, saying over the bread and cup: “This is My body which is given for you; do this in remembrance of Me.” (Lk 22:19). Second, the first disciples, who were with Jesus and who expounded the ideal of the Christian community in their epistles, modeled regular observance of the Sacraments. The disciples baptized variegated multitudes from around the world in the early years of the faith, as recorded in the book of Acts. Similarly, Communion was an established practice by the time Paul was writing his first letter to the Corinthian Church, 20 years after Christ walked the earth. In fact, it had been around long enough to be abused, to the point where Paul had to issue correction in his letter (1 Cor 11:29). If Jesus and the first Christians took the Sacraments so seriously, I cannot but obey. I take a moment to reflect on the glorious significance of the Sacraments, which I am discovering for the first time. My early predecessors observed the Sacraments as a space and time where they could re-experience the physicality of Jesus. 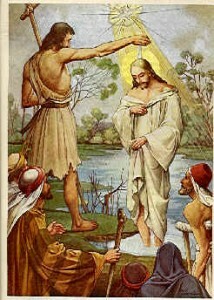 Jesus himself was baptized, and Jesus himself was present at the first Communion. He is still present when we celebrate these Sacraments today. But in the middle of this minute mental revelation, I cringe at myself a little bit. To be honest, I normally don’t feel the physicality of Christ when I am observing the Sacraments. Sometimes they can seem like mere liturgical routines I have to sit through. Baptism–someone getting wet. 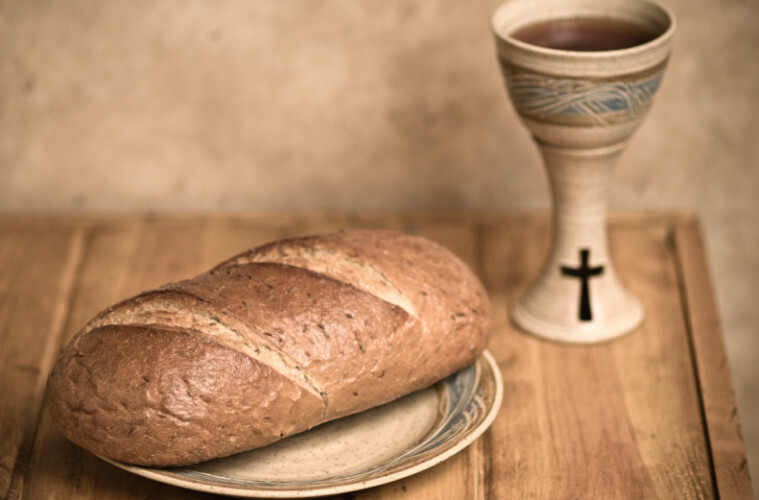 Communion–eating stale church bread. I see only bread and I taste only bread. Convicted, I sit back in my seat. I realize that I’m not asked to, and shouldn’t expect to have, deus-ex-machina experiences every Sunday. To fully partake in Communion, all I am asked to do is to re-Baptize myself. My Baptism in high school marked my initial repentance of sin, but only with the mindset of a newly repentant sinner do I reach the Lord’s table again each time. I forgive myself for the lack of a supernatural experience, as long as the words on my lips are ones of repentance. I realize that once I repent, I can take hold of the Gospel again, which is beautifully acted out in these two Sacraments, for after repentance is cleansing of sin and new life. I reach out to eat and to drink. Ruirui Kuang ’12, a former Design Editor of the Ichthus, is currently working in the government sector in DC.